For your consideration, here's a sample of one of several new, original pieces of music composed for Mega Man X Legacy Collection 1+2. 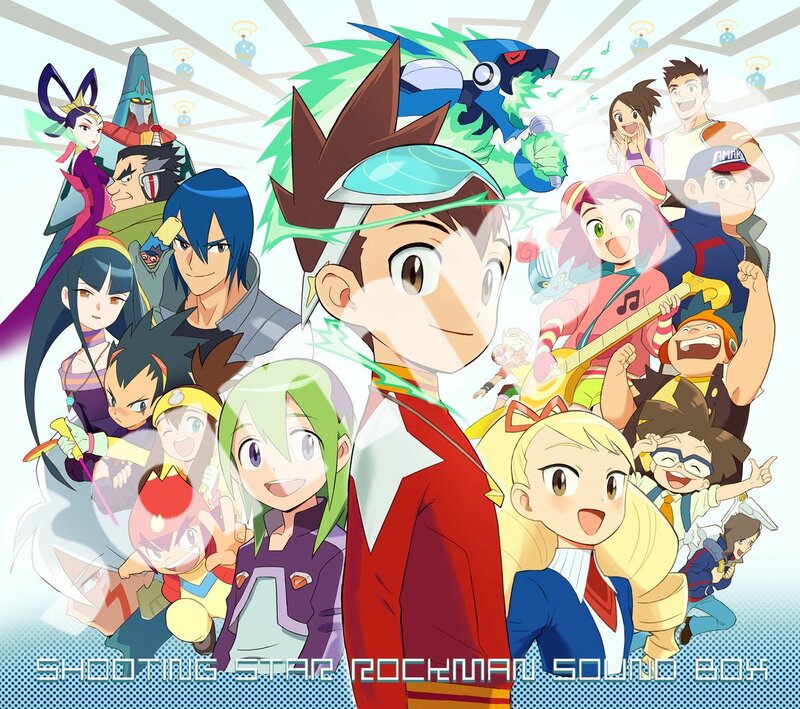 The new tracks will also be featured in a brand-new album coming out on July 27th in Japan. 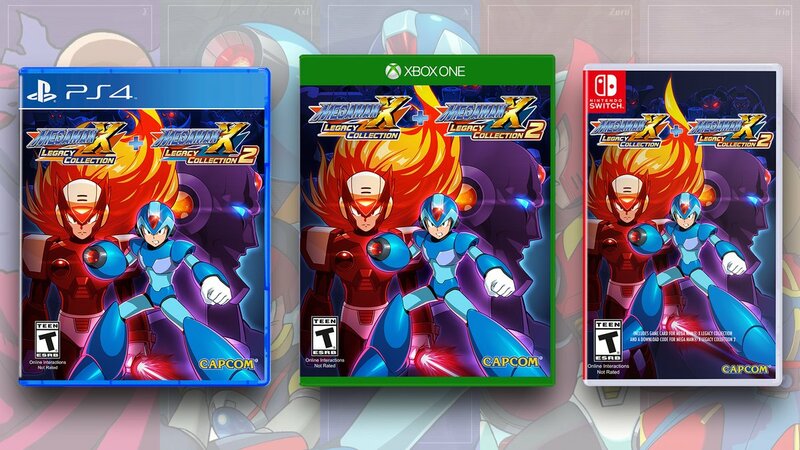 Mega Man X Legacy Collection 1+2 is headed to home consoles and PC on July 24th. The best robotic pupper in the world is getting the plushie treatment. 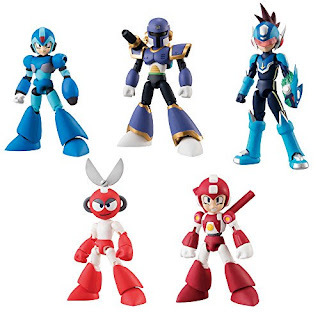 Later this year, Rush is joining Pop Buddies' growing line of licensed Mega Man products. He's about 7-inches tall and 8-inches wide – small enough to cuddle. More images after the jump! 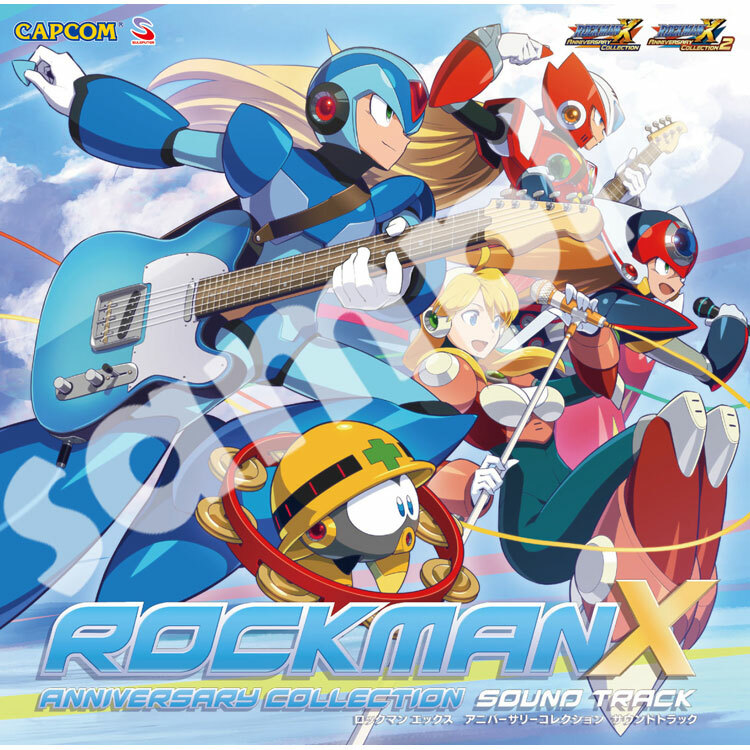 Rockman X Anniversary Collection 1+2 (Mega Man X Legacy Collection in the west) is getting its very own album, Capcom announced. 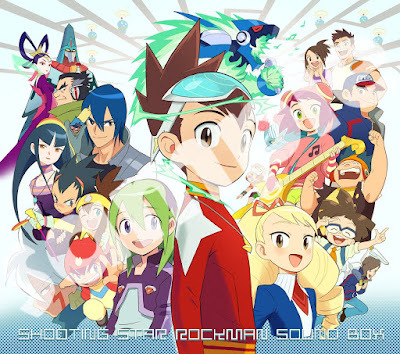 The CD will include new music made especially for the collection(s) plus arrangements of old favorites. Yasumasa Kitagawa of "We are ROCK-MEN" fame is the composer and Keisuke Mizuno is designing the disc jacket. 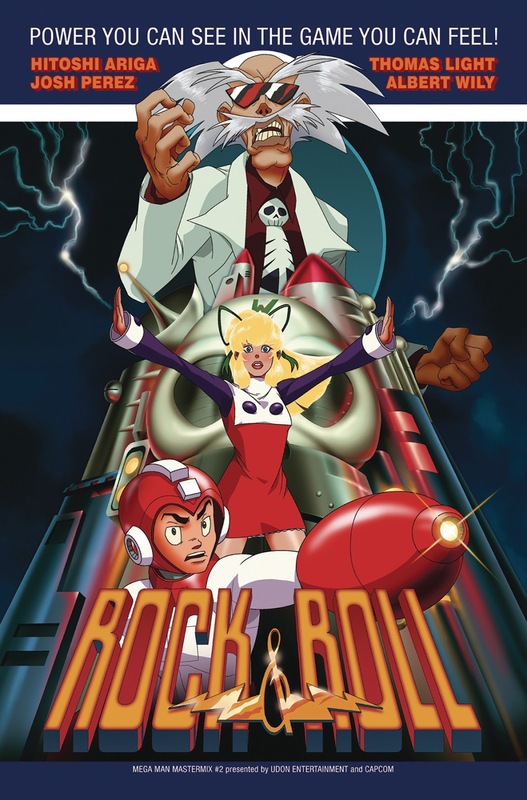 A limited edition with a unique sleeve is being prepared as well. No track list information is available at this time. 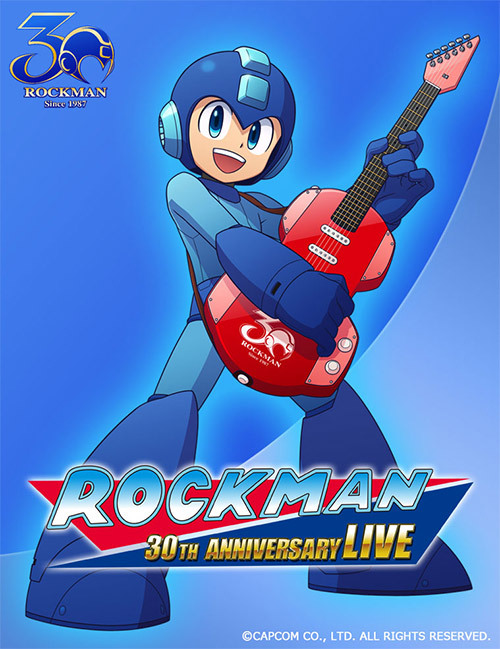 The album is due to hit Japan on July 18th for 2,700 yen (about $25.00 US). Pre-orders are currently being accepted via e-Capcom. First revealed at the New York Toy Fair in February, Bandai brings us another look at the upcoming 66 Action Star Force Mega Man mini figure. As his namesake implies, our blue Wavemaster here stands at 66mm or roughly 2.6 inches tall. He's small but the articulation should be pretty good. 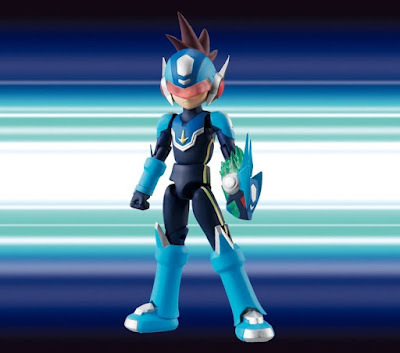 Additional information about Star Force Mega Man and the other new 66 Action Mega Man figures (Super Mega Man, Cut Man, Vile and Ride Armors) is expected to hit on May 1st. Stay tuned! 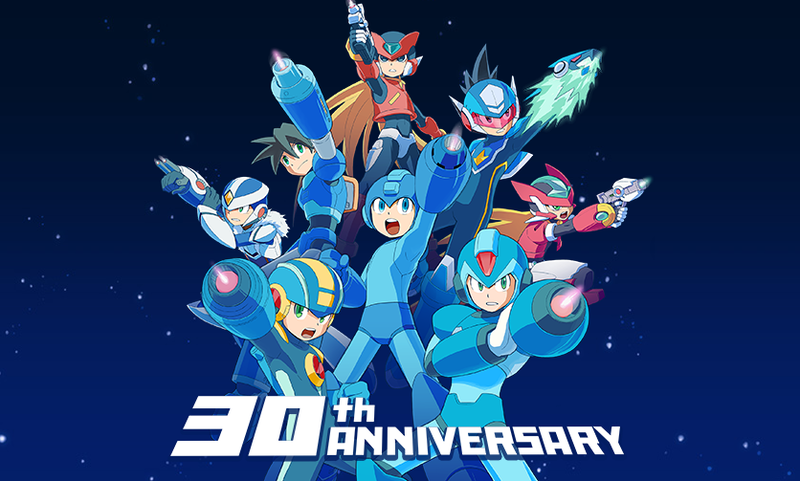 Hot on the heels of Japan, Capcom USA just confirmed Mega Man X Legacy Collection 1 and 2! Both will be available in the US on July 24th for $19.99 each digitally. A retail bundle will be available for $39.99 that includes two discs on PlayStation 4 and Xbox One. On Nintendo Switch, the retail bundle will include a single cartridge with the first collection and a digital download voucher for the second collection. 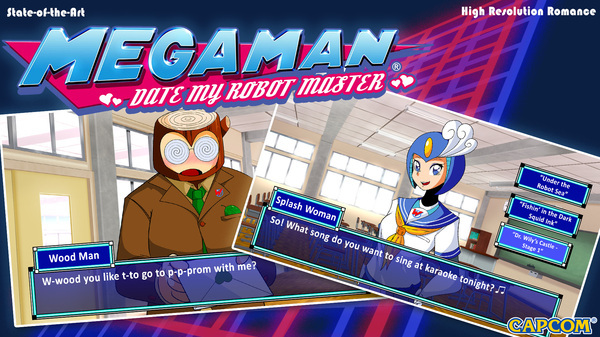 Additionally, we have some new details and info about previously announced features. The X Challenge mode – a boss rush where you face off against multiple bosses at the same time – you can choose to take three Special Weapons into battle or go for a buster-only run. You can share your times with other players and see where you rank on the leaderboard. New music for both collections has been confirmed as well. The music playing in the Japanese trailer is likely one such piece. 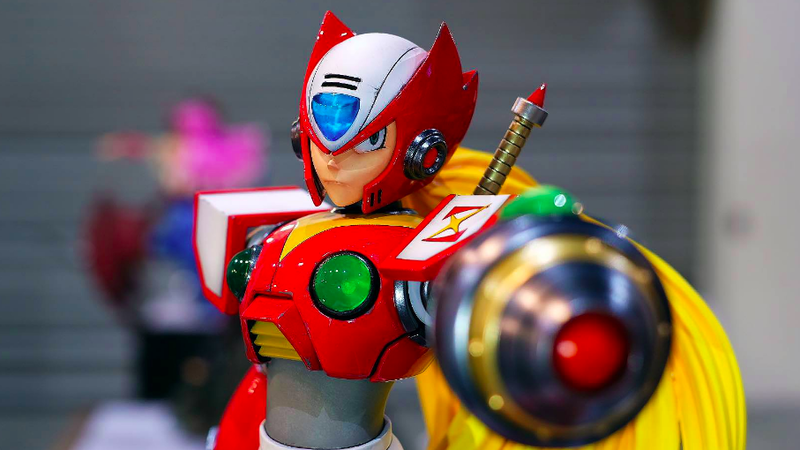 Remixes of classic X series tunes are reportedly included too. Where they will be featured – in the games themselves or maybe just the menus – has yet to be confirmed. 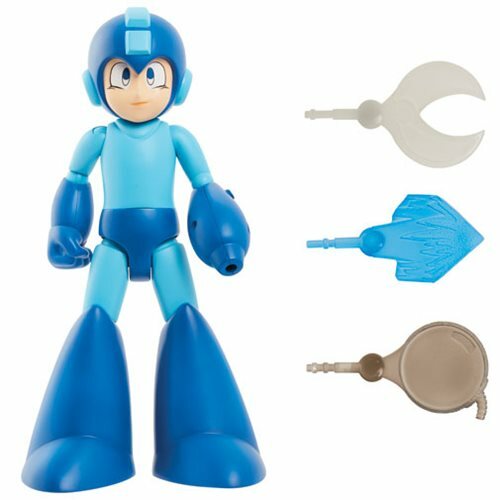 Mega Man Classic Deluxe Action Figure ($39.99 August 2018): "Mega Man has never looked better! Fans of the classic Mega Man video game will love this deluxe action figure. 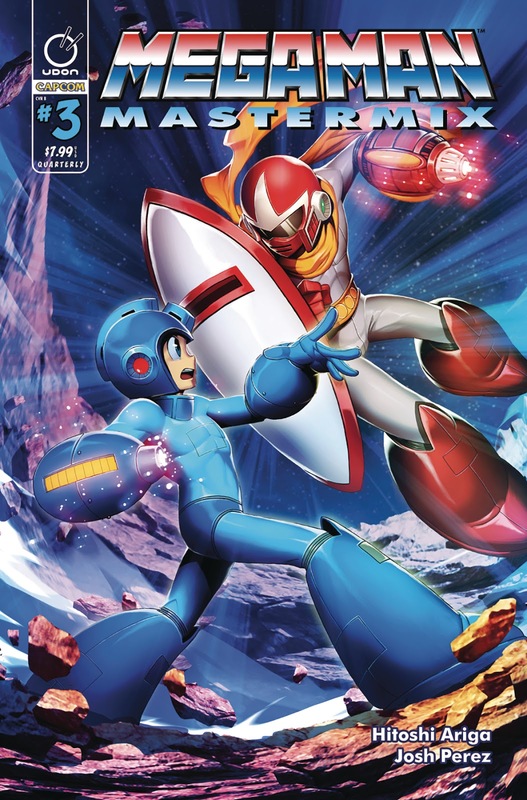 The Mega Man Classic Deluxe Action Figure features lights and sounds that are sure to delight!" 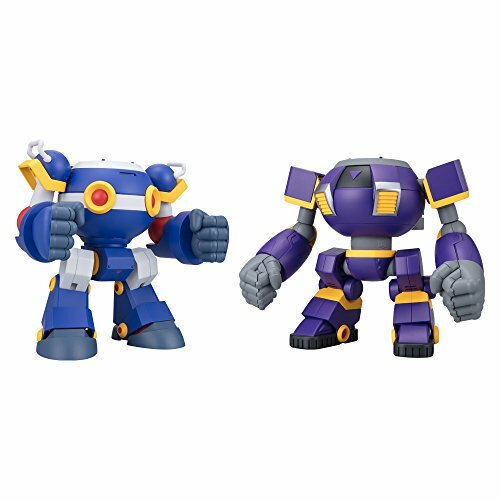 Mega Man Classic 8-Bit Mini-Figure 2-Pack Wave 1 Case ($59.99 July 2018): "The Mega Man Classic 8-Bit Mini-Figure 2-Pack Wave 1 Case includes 6 individually packaged mini-figures 2-Packs (subject to change):Breakdown not available at this time." 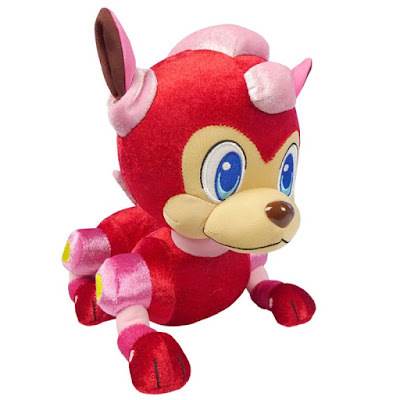 Mega Man Classic 7 1/2-Inch Plush Wave 1 Case ($77.99 July 2018): "The Mega Man Classic 7 1/2-Inch Plush Wave 1 Case includes 6 individually hang tagged plush (subject to change)." 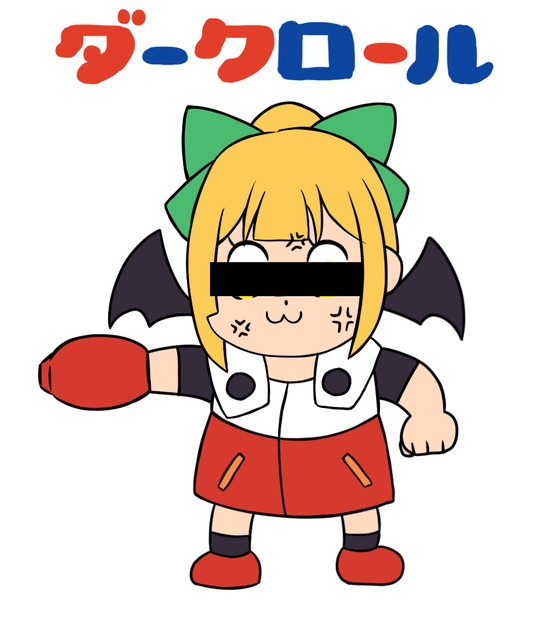 Now don't freak out over the prices for the mini figures and plushies – those listings are specifically for cases. Individual mini figure 2-packs and plushies will be sold separately and it looks like ToyWiz has listings for those up right now. It's also worth noting the release date for these products aren't absolute. Rather, they are estimates that could potentially change at any given time. I'll be keeping an ear to the ground for updates. So yeah, that's all from Jakks Pacific for now. 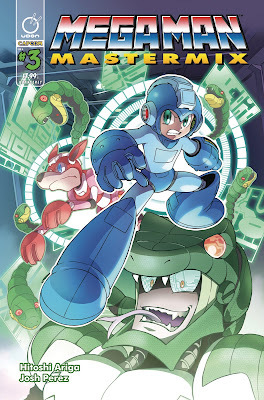 We're also expecting toys based on the new animated series from them at some point, too. I've got no news on that front yet. Stay tuned!